Vacations are something that every student looks forward to. It is time for lazing around, touring, playing, watching TV and movies, spending time with friend and relatives, and what not...the list goes on. However, vacation was the one thing that Bhagawan was always very concerned about. He provided a sacred ambience in His educational institutions that facilitated selective isolation of external influences on students, thus enabling them to progress in a focused manner along the noble path. Therefore, come vacation and He was always worried as to how His students would conduct themselves when they went home. Would they retain the good habits that they developed in His Presence? Would they resist yielding to the myriad temptations that the world amply offered? Driven by His motherly concern, Bhagawan has, on various occasions, provided guidelines to students as to how they should spend their vacations. He has delved into the nitty gritty of daily conduct, food habits, service initiatives, etc. This post presents a few excerpts of these gems of wisdom given by Bhagawan to His students. In no way is this compilation exhaustive. Bhagawan has spoken on so many occasions giving His advice to students on such diverse topics that it would be impossible to cover all of them in one posting. Therefore, we will bring more of these gems of wisdom in later posts. A point to be noted is that though Bhagawan apparently addresses students of His educational Institutions in these Discourses, His message, as is always the case, is universal and is meant for all students studying in any school or college in any part of the globe. There are six excerpts from Bhagawan’s Discourses presented in this post. These have been selected from Discourses given by Bhagawan Baba during the years 1996, 2001, 2005 and 2006. 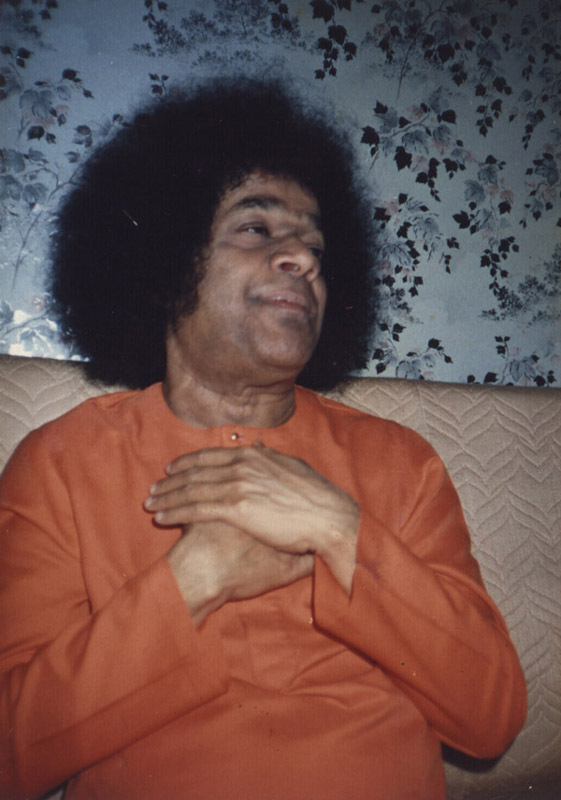 In Clip-1, Bhagawan reminds the students about the great merit earned in the past and the great good fortune that has brought them to Him. He points out that students must engage in service when they go home for vacations, as service is the goal of life. In Clip-2, Bhagawan cautions students not to be obsessed with marks in the examination. He tells them not to keep an eye on “number” alone, but to instead become a “number one” individual. 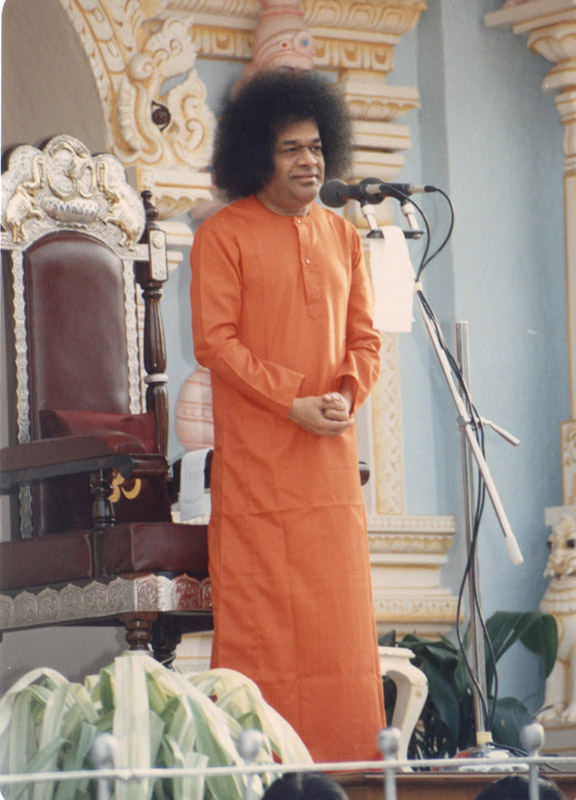 In Clip-3, Bhagawan explains that the fulfilment of having been educated in Sathya Sai Colleges lies in serving one’s parents. Clip-4 deals with the details of maintaining good company, tips on serving one’s mother and father and serving patients in hospitals. In Clip-5, Bhagawan focuses on how transformation of parents can be brought about through ideal examples set by their own children. Hence, He expresses His wish that teachers must take up the task of transforming students. 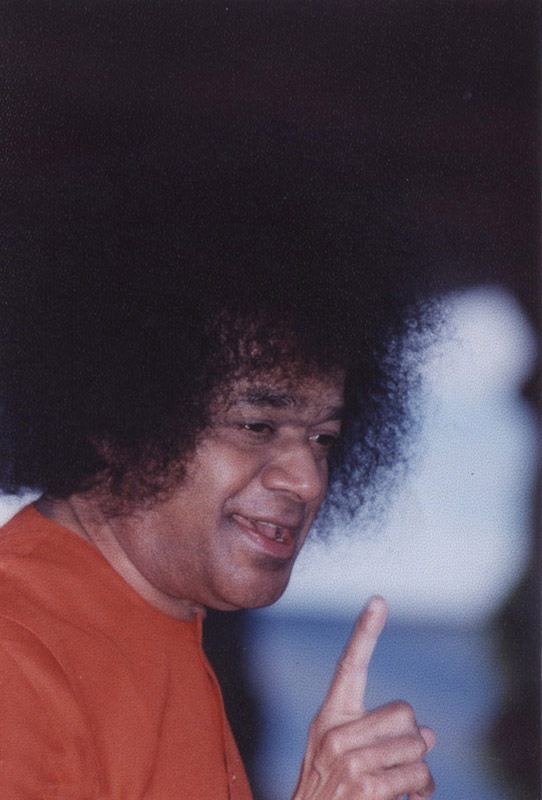 Finally, in Clip-6, Bhagawan talks about ideal food habits and the responsibility of students to live up to the expectations that the world has from students of Sri Sathya Sai Hostels. Because of your past merit and good fortune you have come to Swami. You do not know this. At this age you cannot understand, however in future you will be able to understand the principle of Swami. You have received the great fortune which rarely people can get, but you are giving it up easily and going away. You are disobeying the command. You are not following the command. You are not able to appreciate the good words. Even if good words are told from the depth of the heart, you do not listen. But, you go out of the way to hear bad things. Can such people ever understand me? What is then, the use of all this education? You will not hear good words, but you will hear bad words with both ears. You hear all this and spoil your mind. How can such ones understand me? An ant wanted to know the depth of the ocean. However, with one wave, it is completely washed away. Can the ant ever know the depth of the ocean? In the same way, you too can never understand the principle of Swami. But experience that which has been given to you. This Sai has come to you on account of great merit. Make use of Him. You will never again get this opportunity of serving His Lotus Feet. Awake, awake, awake from this ignorance. You are going home in your vacations. Behave in a proper way. Bring good name to your parents. Get a good name in the society. If you have no work, there are so many Sai centres, go and serve there. Service, service, service – that is the goal of life. If you live in this way, the country will prosper so well. Students, first have a control over your mind. Offer your mind to God alone. God can do everything for you. He can do anything for that matter. Therefore, with all devotion, have the conviction that He is everywhere. Never entertain the doubt that God is here and not there. God is present everywhere, wherever you look for Him, you will find Him there. Therefore, having devotion, discharge your duties, pursue your studies, practice all that you have learned and get a good name. Bhagawan never tells you not to study. You must study. But that gives you only secular knowledge – worldly Dharma. But spiritual knowledge is transcendental. Therefore, efforts to have a steady heart and proper enquiry into one’s heart is a must. Students, from tomorrow, you all will be going to your respective home towns. Recapitulate what you have studied here, what you have listened here and what you have eaten here and be happy. Make your parents also happy. Do not give scope for them to be worried thinking that Oh my son has come, but he looks so worried. Make them happy. When you are happy, your parents will also be happy. Parents are very important. It is our duty to make them happy. If we enquire why we have been born, it is to make our parents happy. It is not enough if you eat well for yourself and be happy individually. That is not important. Khana, Peena, Sona Marna (eating, drinking, sleeping and dying) – these are very natural. We are born to make our parents happy. Once we make our parents happy, others will also make their parents happy. So, we should have good ideals. Then you will get fulfilment. Therein lies the fulfilment of having been educated in Sathya Sai College. Bhagawan desires that you should get this good name. Serve your mother and father. Visit hospitals and serve patients. The sages in the past used to assemble all the graduands and give them good advice before sending them away to enter into their Grihastashrama after the completion of their studies. This occasion was called the Convocation. In the coming vacations, some among you are completing your education and going away, whilst others will return again. But whenever you go from the college to your homes, you must give lot of happiness to others and you must also experience lot of happiness. Never get into bad company. One of the boys who spoke said, “Satsangatve Nissangatvam, Nissangatve Nirmohatvam”. Join good company. Even if you have to pay money, do so, and get away from bad company. Even if you have to give up your life, do so and get into good company. Associate yourself with good company. Do not associate yourself with bad company. What will happen if you associate yourself with bad company? Tell me your company, I shall tell you what you are. You will also become bad, in the company of bad people. Therefore, run away from bad company and serve your parents. At times, your mother will go to the market. You too go with her. Carry the items purchased by your mother. How happy your mother will be! She will feel, “Oh, how much my son is serving me”. This is the happiness you must give to your mother who has nurtured you for nine months in her womb. Even while seeing your mother carrying all the items, if you sit on a chair and ask, “Oh, mother, when did you come?”, she will think, “Oh, what a worse child has been born from my womb”. Therefore never give pain to your mother. Help your mother. Serve your mother. Enter the society and undertake service. Many of you who know Bhajans, go and sing Bhajans. Or else, go and partake in social work. Go to the hospitals and help the patients. If you cannot do any other help, look out for poor patients and buy the medicines prescribed for them. If they are feeling cold, get them some clothes. But never give them money. If you give them money, you will be encouraging them to become beggars. Give them food, give them clothes, give them necessary medicines, and help them. This is the type of service you must participate in. If you undertake service in this manner, you will receive great repute. You will be fulfilling the human birth that you have taken. Parents do not know anything about Sai Baba. Students know because they come here. We have to develop the spirit among such children. You must call those children and tell them, “Your parents do not like your staying here and studying here, but you explain to them in a nice way. Never speak untruth. You must say - mother, father, you are telling me not to follow the path of Sai Baba, but Sai Baba is showing us such a good path. Truly speaking, if I had not gone to Sai Baba’s school, I would have got spoilt by now. Because of going to Sai Baba’s school, I have become so good now. So, you must explain nicely to your mother that this is your situation. Even before eating your food, you will be praying, “Brahmaaparnam Brahmahavir...”. Parents too will witness this and feel, “Oh! See how much devotion he has”. Then you must tell your mother, “Mother, the food that is gifted to us by God, must be first offered to God before partaking it”. When we offer the food to God, it no longer remains as food. It gets transformed into Prasaadam. There will be no defects in the Prasaadam. When you explain like this to your parents, they too will take liking to this and will start chanting the prayer. Therefore, if we wish to bring parents onto the right path, it must be done through their children. Therefore, we must set the children on the right path and through them we must make an attempt to advice the parents. Whatever we do, we should do it perfectly well. When we go home, we should go out and do some service. If some friend comes home, we must talk to them with respect and courteously. “Please sit down, my father will be coming shortly”, saying so you must give them a glass of water and make them happy. Witnessing such a conduct and behaviour, will bring about a change in parents too. We cannot advice parents in our schools. We must advice students to conduct appropriately and through them show the right path to parents. Therefore, it is not possible for us to change the parents. We cannot go that far. First, change our students. When the students are transformed, they will go and transform their parents. A small example: In a house, once every week, they used to prepare mutton. When our students go home, they say, “Oh my dear son, you have been in Puttaparthi for one long year, you have not eaten any chicken, sheep or fish”. Saying so, they prepare all the dishes and serve the children with love. Then the boy should say, “Mother, I will not do this bad act. Why should I kill one being to keep this being alive? This is not good for me. You are going just by the body. You are offering flesh to this body which is made up of the very same flesh. We must offer nectar to this body made up of flesh. We must partake sacred food. We must partake food given to us by God. We should not eat non-vegetarian food that enhance our bad qualities and bad actions. When once the children keep telling like this again and again, they too will get transformed. I know of many such cases. After the children have come to our college, through them, their parents too have given up non-vegetarian food. Therefore, everything is through students, through students. This is a very easy path! When food and head go together in the wrong direction, one forgets God. Today we need good students. That is why I have established these educational institutions. There are no bad books in our library. Students will not do anything wrong even if told by teachers. Students will never entertain bad thoughts. When they go home to their parents, during their leave, they do not stay there for long. The mother tells her son, “Oh son, you have stayed away for one year in Brindavan, you have stayed away for one year in Puttaparthi, how is it you do not relish any other types of preparations that I make here at home?” The son will get up and say, “Mother, this is not good for you also. This food is related to Rajoguna. As is the food, so is the head and the thoughts. When this food and head get together in the wrong direction, one forgets God. Therefore, do not change your food habits. Eat a lot of green leafy vegetables. Eat more vegetables. Do not partake junk food. Bangaru (dear ones, literally gold), once you have these good food habits, you will become good. When you go outside, everybody will say, “Oh these boys are from Sathya Sai Hostel, they are very good boys!”. Supposing our boys act in a perverted way, they will only teach them a lesson. “Ayya (Mister), you are from Sathya Sai Hostel, should you be eating such food?” It is not good. Give up that habit. In this manner, they will only teach the boys a lesson. Therefore, you must teach others, but never give scope to be taught by others. Many students who came here earlier, with lot of devotion and sincerity, exhibited very bad behaviour after going out. Very few are like that, rest all are very good boys. Those who have joined our Hostel and our College currently are good boys. Such students were not available earlier. I desire and Bless that from today onwards our students should cultivate good qualities and get prepared to teach others. Thus, I bring My Discourse to a close. 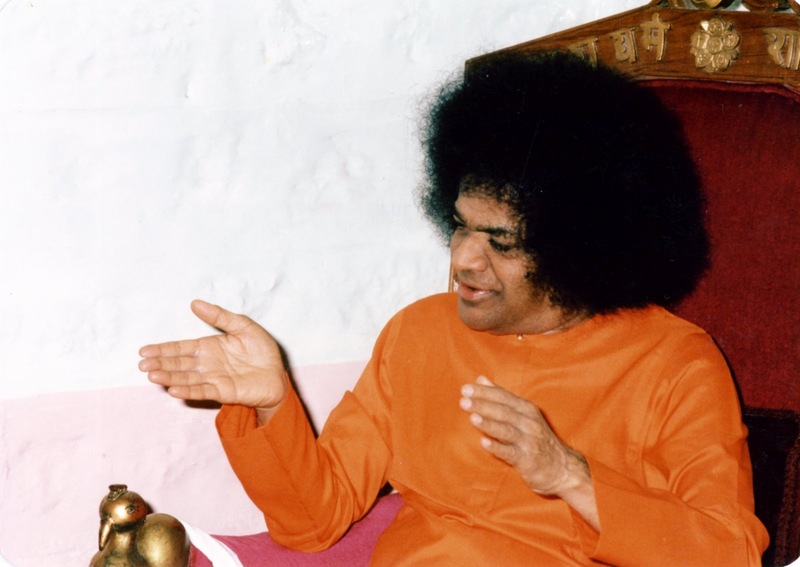 01-What according to Bhagawan should be our approach towards the results of our examinations? 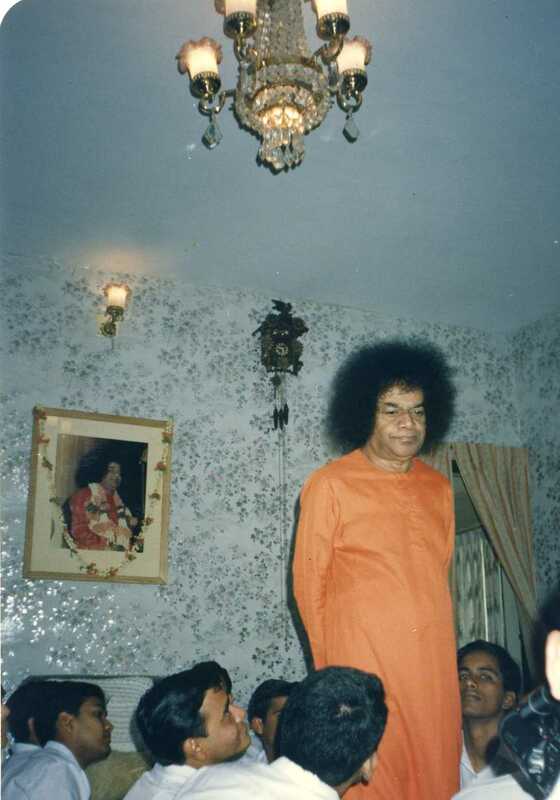 02-Wherein lays the fulfilment of having been educated in Sathya Sai College? 03-How does Bhagawan stress on the need to run away from bad company? 04-How does Bhagawan expect us to serve our mother? 05-How does Bhagawan expect us to serve the patients in hospitals? 06-When parents are not in favour of children following the path laid down by Bhagawan, how should they explain the truth to their parents? 07-How does Bhagawan expect us to treat guests and friends who visit our homes? 08-In the pretext of the son answering to the mother, Bhagawan actually tells us why one should not consume non-vegetarian food? What is the message He conveys to us? 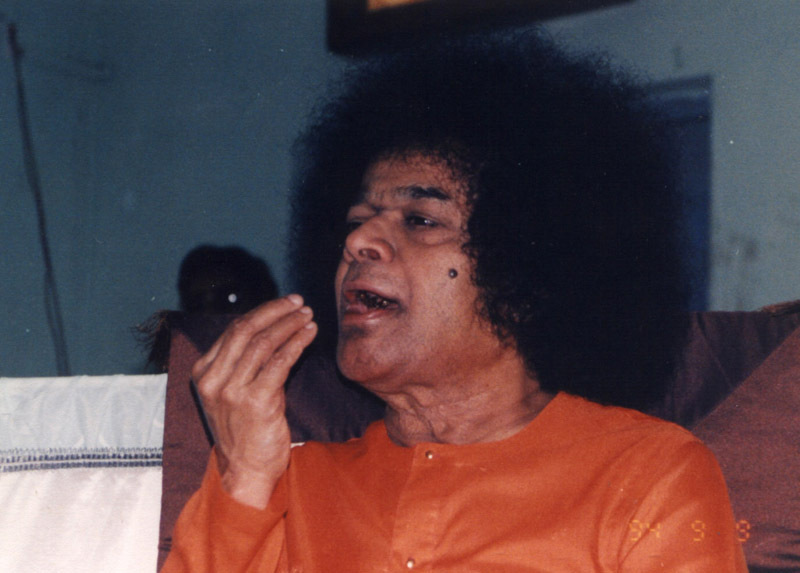 09-How does Bhagawan expect students from Sathya Sai Hostel to conduct themselves? What is the type of peer pressure that they would face according to Bhagawan?